In this Sept. 25, 2013, file photo, the first SpaceShipTwo is seen suspended at center beneath its twin-fuselage mother ship at the Virgin Galactic hangar at Mojave Air and Space Port in Mojave, Calif.
Virgin Galactic has conducted the second rocket-powered test flight of its tourism spaceship in the skies over California. The company says VSS Unity fired its rocket motor for 31 seconds and climbed to an altitude of 114,500 feet (34,899 meters) on Tuesday, then glided to a landing at Mojave Air and Space Port. Virgin Galactic founder Richard Branson was on hand to greet pilots Dave Mackay and Mark "Forger" Stucky as well as the crew of the carrier aircraft that launched the spaceship. Tuesday's flight came less than two months after the first powered flight on April 5. 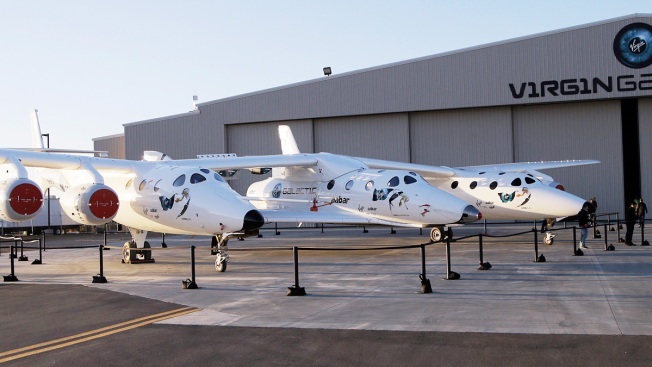 Virgin Galactic says that brings the company closer to its goal of being able to fly its spacecraft more frequently than has been typical for human spaceflight. 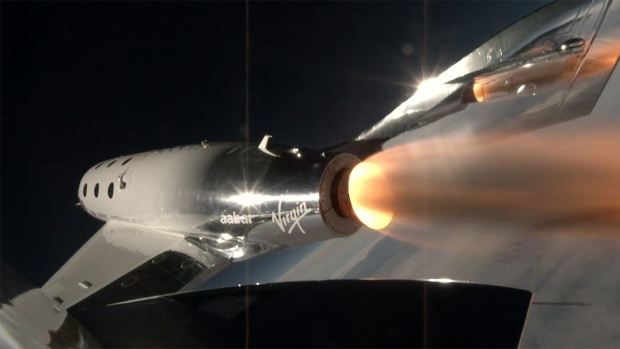 The successful test flight from Virgin Galactic’s spaceship, the VSS Unity, could be the first step for tourists wanting to take a quick trip to space.